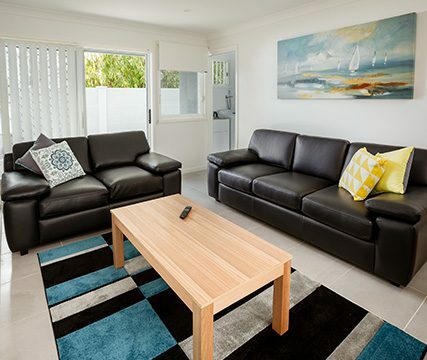 Located near the Wallsend Shopping precinct, Wallsend Executive Apartments feature custom made leather lounge furniture, TV’s in lounge rooms and main bedrooms and fully equipped kitchens. Additionally there are two bathrooms in each apartment both with complimentary bath accessories and a third toilet downstairs. Kitchens include dishwasher, oven, four burner hot plate, microwave, electric jug and toaster. Clean apartments, central location and always a comfortable stay. Great for a family. Very clean and comfortable. The staff were very helpful. Well located.